I finally decided to jump on the Julep Maven bandwagon! After trying a couple of Julep nail colors in the summer nights mystery box last month, I was left with a pretty positive impression of them. Needless to say, I was instantly hooked. The next logical thing to do was subscribe to their monthly Maven program ($19.99/month-boxes include at least $40 worth of products). Based on the results of my Julep Maven style quiz, the style that suited me best was "bombshell". I received my bombshell starter box in the mail last week and I couldn't be anymore pleased with the items that were included in the box! I got two gorgeous nail colors, a foot cream, a foot scrub sample, and a top coat that I added on ($6.99, add on price). Julep's nail colors are 4-free. They don't include formaldehyde, formaldehyde resin, DBP, or toulene. Madison: Coral/pink creme. Madison is such a pretty summer hue. It has a smooth formula-sort of like a jelly consistency, and it dries to a shiny finish. This one is a bit on the sheer side. You can get somewhat of an opaque coverage with 3-4 coats, but nail lines will be visible. Oscar: Gold glitter embedded in a clear base. I probably have one gold glitter nail color in my collection, but it's definitely not as nice as this one! Oscar makes for a lovely accent color. The glitters are just dazzling, and they are easily buildable. 2-3 coats is all it takes for heavy saturation. Mint Condition Pedi Creme: This cucumber-mint foot cream helps moisturize and exfoliate thanks to a fusion of AHA's and super ingredients like Shea butter, Vitamin E, and coconut oil. My feet are often dry during the summer months, and this cream does a nice job at instantly hydrating and softening them. It feels so refreshing going on, and I love that there is no greasy residue left behind. Freedom Polymer Top Coat: This was the add on that I decided to include in my box. I have been on the market for a new top coat, so as soon as I saw this one, I just had to try it. The Freedom Polymer Top Coat lengthens the wear time of manicures, and gives nails a gel-like shine. This top coat goes on amazingly smooth, and it really does give my nails a beautiful glossy look to them. Plus, it dries super fast! Instant Warming Foot Scrub: I have yet to try this, but I am sure looking forward to it. This foot scrub warms up on contact and includes natural pumice to gently exfoliate, as well as nourishing vitamin E, and chili pepper oil to help stimulate circulation. I am so excited about my Julep Maven membership, and I can't wait to see what they have in store for the coming months! 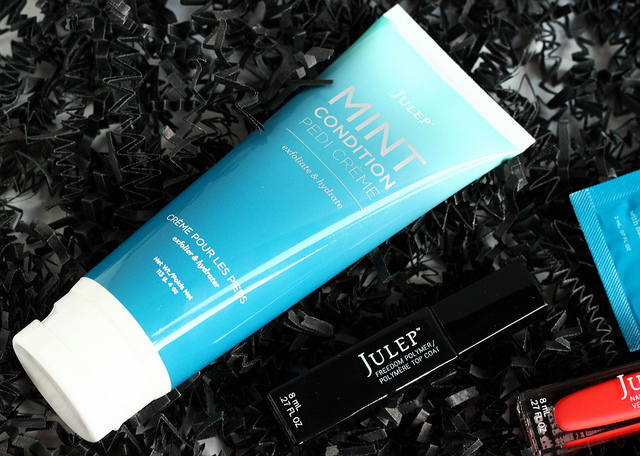 If you are interested in signing up for Julep's Maven monthly subscription program, now would be a good time to do so since they are currently offering a free first box for new members (just pay shipping). Just enter the code FREEBOX at checkout. 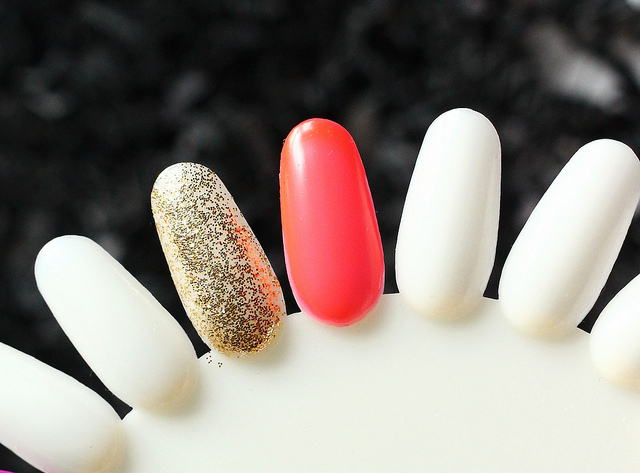 What do you all think of Julep's nail colors? Are you subscribed to their monthly Maven program? Disclaimer: I purchased a monthly Julep maven subscription for my personal use. This post contains referral links. For more information, please visit my disclosure page.